According to a recent news item on the BBC site, this year has seen a sharp rise in the number of bike thefts in the nation’s capital, emphasising the need for greater bike security and use of systems like Immobilise. Police figures have shown that a total of 426 bikes were stolen in Westminster between April and August this year compared to 244 in the same period in 2009 – a 71% rise. 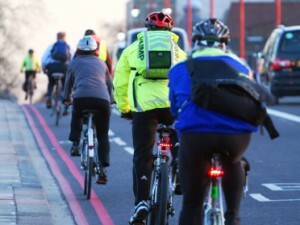 The West End was the worst-hit area in the year 2008/2009 with 436 bikes stolen, the Metropolitan Police said. London as a whole has seen a 6% rise in bike thefts with 18,218 cycles reported stolen since last April. Year-on-year figures for Westminster show 1,466 cycles were stolen between last April and March 2009, compared to 1,420 bikes the previous year and 1,277 in 2006-2007. Across London 17,182 cycles were stolen in 2007/2008, fewer than the year before which saw 18,646 bike thefts. Ch Insp Glenn Tunstall, who works in the central Westminster area, said thefts had risen as a result of the increase in cycle journeys in London. 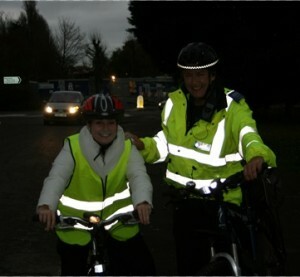 We have increased our patrols, doing high visibility patrols and more proactive work around thefts. As a result since the beginning of the year our arrests have risen by 333%. But in a lot of these arrests we are unable to trace the owners of these cycles which makes it very difficult for us to achieve justice. So we are asking members of the public to register with firms like immobilise.com and make a note of their frame numbers and that will allow us to be more effective. Other boroughs which saw a high number of thefts were Islington, Camden, Hackney, Tower Hamlets, Lambeth, Kingston, Hammersmith and Fulham and Kensington and Chelsea. Police in Cambridge are urging cyclists to mark their bicycles after an average of nearly 11 bicycles a day were reported stolen in the university city during October. Just two of the 338 bicycles were reunited with their owners, according to Cambridge News, as thieves targeted new students at the start of the academic year. 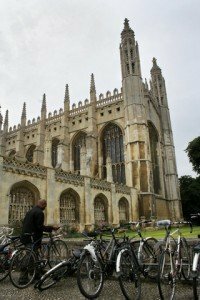 Lewis Herbert, a member of Cambridge city council, told the newspaper: “I am worried and very concerned at the risk of a major outbreak of thefts in the autumn and the high theft figures through 2009,” adding that there should be additional secure areas where people can leave their bikes safely. In the first ten months of 2009, more than 1,900 bikes have been stolen in the city, a 13% increase on the comparable period in 2008, with a 31% increase in October alone compared to the same month last year. Cambridgeshire Police have launched a campaign called “Lock it or Lose it” to combat the soaring levels of bike theft in the city, with Sergeant Gordon Morgenthaler working together with the council and Cambridge Cycling Campaign to educate cyclists. Sergeant Morgenthaler told Cambridge News: “Prevention is the ultimate aim, but we also want people to register their bikes on immobilise.com.” The latter provides security tracking services including security tags for bicycles. The Haringey Independent has reported that a stolen mobile phone was returned to its rightful owner thanks to the Immobilise National Property Register. While on patrol on October 27, in Seven Sisters Road, Tottenham, Haringey police’s safer transport team stopped-and-searched a 31-year-old man. He was found to be carrying a mobile phone which was traced by the police* on website Immobilise.com to a woman who had reported it as stolen in September. The man was arrested on suspicion of handling stolen goods and bailed to return to police on Monday, November 9. This shows that by having your valuables registered on immobilise.com, the chances of having you lost or stolen property returned to you, are greater. The stolen mobile has since been restored to the owner who was very pleased. The free website allows users to register all of their valuables by serial number inlcuding mobile phones, laptops and even bikes. If the property is stolen you can use the site to alert police, insurers or second-hand traders so that if they come across the goods they can be returned and help catch criminals. * The police search the Immobilise National Property Register and other information via their own search portal the NMPR.